Includes unlimited streaming of Protector of The Arts via the free Bandcamp app, plus high-quality download in MP3, FLAC and more. Athena Rock Band, based in Atlanta, Georgia, USA, creating progressive rock original music. 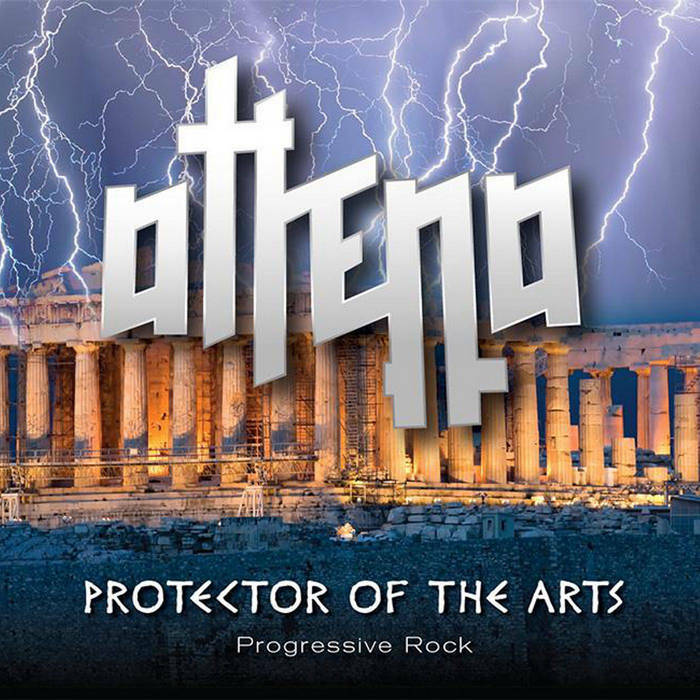 We use the "Concept" of the Mythical Goddess Athena, Goddess of Wisdom, Goddess of Craftsmanship, The Merciful and Patron Goddess of Athens, as a guiding influence for original songs. Legend goes that Athena was the Protector of the Arts and Crafts. She was also a War Goddess, fighting efficiently to protect her side, using her superior knowledge of tactics and strategy. She championed many heroes offering advice and protection. Athena can be credited with having provided Humankind with the knowledge needed for the foundation of civilization. ATHENA, knowing the power of music in today's society, Athena Rock Band USA, has strived to harness the energy of her legend in creating original songs.